Traditionally, November is a very busy month for global trade sector as everybody looks forward to new sales records. Although last year, still little-known Singles’ Day in China outperformed the best-known Black Friday, American Black Friday is still in the lead of shaping sales traditions for the greater part of the world. 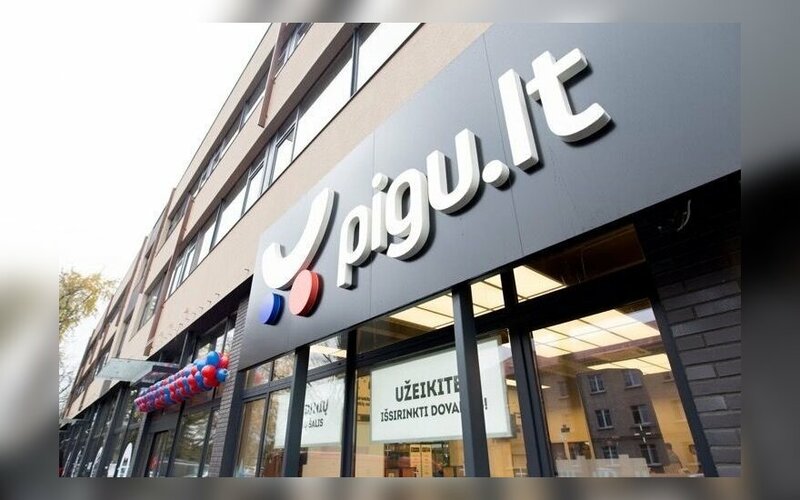 This year, the largest Baltic online shopping site “Pigu.lt” has merged both global traditions and offered a new sales concept to its customers, a press release from the site states. "Online sales enjoy rapid growth and no longer make news. Now it remains to be seen which shop will offer more value, better choice, more convenient service and, certainly, make better festival for shoppers. The actions of the market giant "Amazon" is an excellent illustration: it has offered free delivery of goods again, after sixteen-year break. We can imagine the size of investment with more than seven million Black Friday purchases last year alone, according to "Amazon". Meanwhile, we invite the Baltic market to a sale festival: each day in the course of two weeks, we will offer new value and invite customers to plan for Christmas," Giedrė Vilkė, "Pigu.lt" Marketing Director, shares her insights. As online shopping becomes more popular, more and more fraudulent sellers appear: how to avoid them? Single's Day, which is less known in the West, is marked on November 11 and is the largest shopping day in the world. Chinese spent almost 40 billion euros during 2017 sale. Meanwhile, Black Friday generated 7 billion euros in the U.S. last year. This year, Black Friday will be marked on November 23. Over half a million people (0.557 million) visited online shopping site "Pigu.lt" during last year's one-week Black Friday campaign. This year, the sale will last two weeks due to huge shoppers' interest; thus during the last week alone, a million visitors are expected. "Each year, the growth of online sales is observed on the global scale as well as in our region. This is due to consumer education, shopping convenience, a choice of payment methods and, certainly, growing access for consumers. We estimate that a larger share of visitors and buyers will use their mobile phones this year. It is estimated that more than half of all shoppers will do searches on their mobile phones during the entire period of the campaign and seven out of ten customers are estimated to make use of the campaign deals on Black Friday," Giedrė Vilkė said. During last year's Black Friday, shoppers mostly bought perfumes, cosmetics, small household appliances, toys and other goods for children. Christmas trees were also among the ten most popular items bought. Baltic customers' habit observation demonstrated that Estonians are the first to begin their Christmas preparations. Christmas tree was the third most popular item purchased on Black Friday. This year's forecast of the bestseller items also includes furniture, household appliances, computer hardware and electronic goods. Observation of consumer habits shows a clear trend that people begin planning for Christmas much earlier and make a big part of their festive purchases as early as in November. A wish to save money is the main driver of active shopping during Black Friday. Last year, during Black Friday online sale in "Pigu" Group, three out of ten Latvians, four out of ten Lithuanians and every second Estonian made use of sale or accumulated loyalty points. 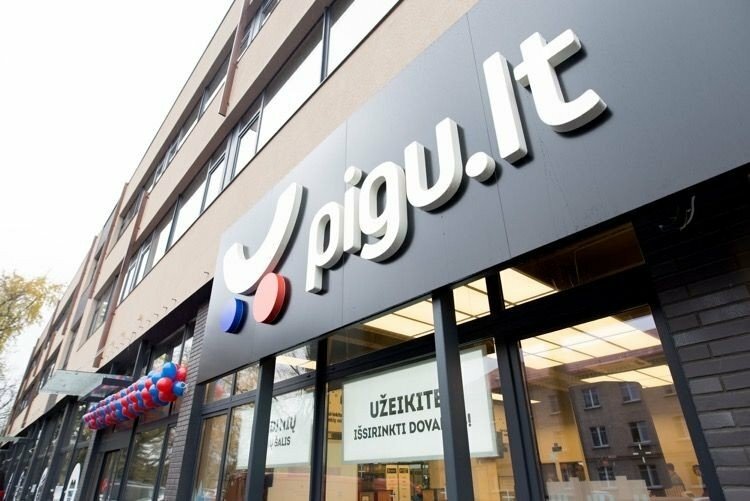 "Pigu" Group that owns online shopping sites "Pigu.lt" in Lithuania, "220.lv" in Latvia and "Kaup24.ee" in Estonia is the leading e-commerce operator in the Baltic States. MCI, one of the leading private equity entities in Central and Eastern Europe, has been managing "Pigu" Group since 2015. This is the first and so far the only company in Lithuania that has been among the five fastest growing Central European tech companies for four consecutive years. Head of Communication at "Pigu.lt"
How to return goods bought online?